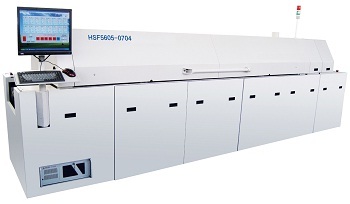 Rated to 400°C, the HSF Series convection reflow belt furnace features an ultra-clean rapid response heating chamber. SMD/SMT - surface mount device reflow soldering. PMC - post molding curing. Chip joing and die bonding.